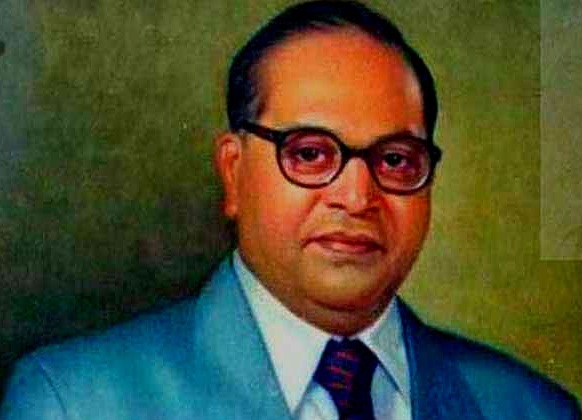 Some of the profound issues of caste discrimination were raised for the first time by Dr. Ambedkar in his undelivered presidential speech “Annihilation of Caste”. The speech was prepared for the annual conference of the Jat-Pat Todak Mandal, a society for abolition of caste system, at Lahore. Prior to the date of the conference, Dr. Ambedkar wrote the speech and sent it to the anti-caste organization to enable them to print and distribute the same. The Mandal insisted on deletion of some passages of the speech, however, Dr. Ambedker declared that he "would not alter a comma”. The conference was withdrawn owing to the “unbearable” views expressed in the speech. In May 1936 Dr. Ambedkar self-published and distributed 1,500 copies of the text. The second edition includes a preface; a prologue, including the correspondence between him and the Mandal; and two appendices, which includes Mahatma Gandhi's review, “A Vindication of Caste” and Dr. Ambedkar's reply to Mahatma Gandhi. Though the unprecedented speech is known to have some content which may be considered to be controversial, it has made its place in history books for its conceptual clarity and political insight. Many consider the Annihilation of Caste to be Dr. Ambedkar’s magnum opus. It is believed that when Saheb Kanshiram first read the text, he read it three times in the same night. There is also a myth taht after reading the text, the first thing he did was tbeat himself with his own shoe out of the aggravation of being ignorant and inactive about the condition of the Dalits in India. In the speech, Dr. Ambedkar revealed in one of the letters contained the prologue his view that “the real method of breaking up the Caste System was not to bring about inter-caste dinners and inter-caste marriages but to destroy the religious notions on which Caste was founded”. In the speech he goes on to explain that these religious notions are the traditional Hindu notion of caste and untouchability, which was forcefully codified in the Smritis such as the Manu Smriti. According to Dr. Ambedkar the notorious Manusmriti stood as an obstacle towards abolition of untouchability, since its contents were offensive to the lower castes, suggesting that they must be given inferior treatment. Therefore, Dr. Ambedkar publically burnt the Manusmriti during the "Maha-Sangharsha" of Mahad Satyagraha in 1927 for asserting the right of untouchables to drink water from the Chawdar tank in Mahad town in Maharashtra, a freedom which even animals in the town were allowed. The event marks an important day in the history of the Dalit struggle against untouchability. Dr. Ambedkar submitted that Hinduism is a religion of rules, in which hierarchy based on “purity” and untouchability is an inherent characteristic. Thus caste system was incapable of any significant transformation. Dr. Ambedkar understood that any steps taken for the upliftment of the backward castes was futile and in order to achieve true equality the caste system must be abolished in its entirety. The only way to rid the evils of the caste system was not by altering it or bending the regulations forming it, but by rooting it out completely. This was one of the primary grounds for opposing Mahatma Gandhi's reformative outlooks. Dr. Ambedkar states that political and economic reform Dr. Ambedkar's, in the ‘Annihilation of Caste’, argues that, caste is incapable of reformation since untouchability is a inseparable characteristic of the caste system. Furthermore, any simple reformation which may be possible, is not of much use, therefore, only total annihilation must be sought. The term ‘annihilation of caste’ refers to elimination of the Hindu ideology, especially those provided in the Shastras and Smritis. Today, these Hindu ideologies which relate to caste are of little significance. Most believe that the part of these texts which promote caste discrimination and untouchability are out dated and not relevant to modern times. The reality of discrimination against lower castes can be dealt with through a combination of focusing on specific aspects of caste-based discrimination, the strategy that emerged in Bhopal, and overall attack on the belief structure that supports caste. Despite its longetivity, caste is susceptible to change. Dr. Ambedkar rightly recognized caste as division of labourers and not merely a division of labour. Dr. Ambedkar pointed out that the gradation of labourers as was existent in India at the time, was unique. While division of labour was deliberate and was based on one's choice and abilities and skill, division of labourers implied a compulsory element. Dr. Ambedkar argued that division of labourers created by caste led to inefficiency since neither one’s heart nor one’s mind would be in their work and since it would persistently provoke one to aversion, ill will and the desire to evade. Mahatma Gandhi and Dr. Ambedkar, both had the best interest of the backward castes in mind, however, their means and final objective were somewhat contrasting. To call Dr. Ambedkar an extremist in comparison to Mahatma Gandhi, with reference to their approach to the issue of caste discrimination, would only be an over simplification of the distinction between their respective methodologies. While the Mahatma focused on upliftment of lower castes and abolishing untouchability, Dr. Ambedkar preached total obliteration of the caste system. Gandhiji sought to preserve the Varna vyavastha which he submitted was distinct from the caste system. However, this distinction was very faint and not easy to grasp. Contrary to this view was that of Dr. Ambedkar’s, who was convinced that the potency of the caste system was attributed to the Vedas and Shashtras and therefore the the Vedas and Shastras must be destroyed since the caste system is impregnable and cannot be broken off from the Shastras. Gandhiji aimed at changing the mental attitude of the higher castes, thereby changing the way they treated the backward castes. Dr. Ambedkar was more focused on a strict legislation to ensure prohibition of inequality based on caste. Dr. Ambedkar's assessment of Hinduism was so blunt that the Mahatma, described Dr. Ambedkar as a “challenge to Hinduism”. Dr. Ambedkar did not shift from his stand. Dr. Ambedkar favoured neither socialism nor communism. The socialists of India were merely imitating their counter-parts in Europe and were applying the economic interpretation of history to the India scenario. In Annihilation of Caste, Dr. Ambedkar states that the fallacy of the Socialists is that they assumed that since in the European society property was considered a principal source of power, the same would also be true in India or the same was true of Europe in the past. Religion, social status and property are all sources of power and authority, of which any one is the principal source of power at some stage and the other is the principal source of power at another. Dr. Ambedkar also intensely criticized the communists for their rigid approach to caste in treating it as the superstructure and stated that unless they dealt with caste as a basic structural problem, no worthwhile social change, let alone a socialist revolution, was possible. It is respectfully submitted that the Mahatma’s approach was too dependent on the inner goodness of the upper castes. Thus, even in the issue of caste his ideologies are criticized ,as they have been for so many other issues, as being too idealistic. No doubt a change in mindset of the people has more far reaching benefits in comparison to mere changes in law. Change in society stemming from change in the society’s attitude and not due to an obligation under law, is more favourable. But at the time a more realistic and practicable solution was needed. It is also a possibility that after the Mahatma’s objectives were realized, the society would one day relapse to its then condition. Dr. Ambedkar stressed on the requirement of a legal remedy to the social evil. It was in the course of his search for this remedy that he took a huge step forward and proposed elimination of the Hindu religion as a solution. Though it may appear to be a drastic step, what the Doctor sought was to change the rules and regulations that have been governing the Hindu religion for centuries. Thus, according to him there was no difference between legal reform and religious reform with regard to Hinduism since, as discussed earlier, he was of the opinion that even Hinduism was a religion of rules. Dr. Ambedkar also believed that political empowerment was essential to the social advancement of the Dalits. Therefore, he insisted on a separate electorate for “untouchables” in the Second Round Table Conference in 1932. When the British agreed to Dr. Ambedkar’s demand, Mahatma Gandhi started his famous fast unto death in Yerawada prison. Dr. Ambedkar faced pressure from all sides to quit his demand for a separate electorate since Gandhiji’s life hung at the balance. Dr. Ambedkar was forced to consent to having a Joint Electorate with reserved seats in legislatures for “untouchables”.